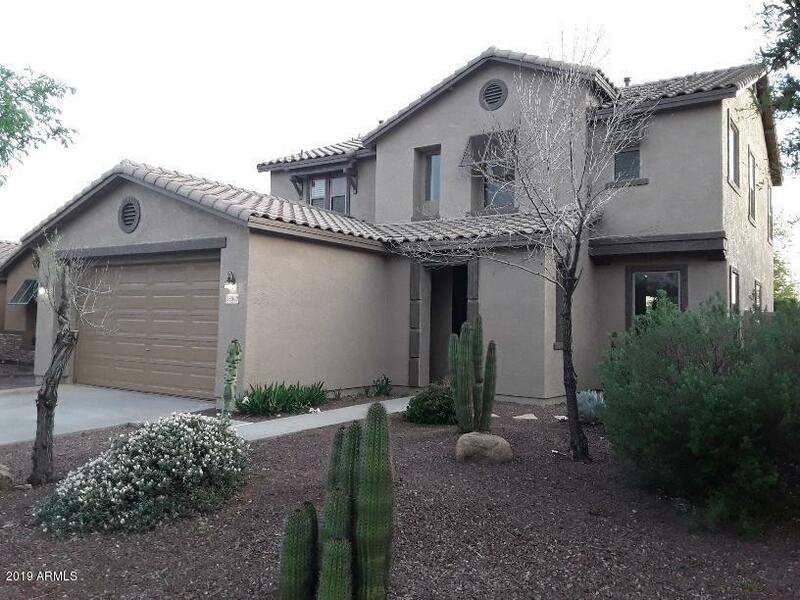 All DESERT OASIS OF SURPRISE homes currently listed for sale in Surprise as of 04/23/2019 are shown below. You can change the search criteria at any time by pressing the 'Change Search' button below. "Incredible opportunity to own this amazing property w/ impressive upgrades throughout. This home shows like a stunning model. Excess of 300k in upgrades done by the owners. No expense spared w/ this home! Very high dollar improvements such as custom kitchen cabinets, high tier granite throughout, backsplash, custom stone and wood flooring throughout, custom bathrooms, custom glass in bathrooms, newer pool with glass tile finish, extended pergola in the backyard, custom granite fireplace surround"
"Stunning NEW HOME! 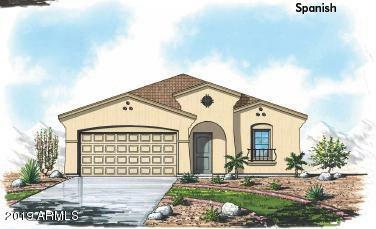 Double Master floor plan with all of the elegant features of a new home. Beautiful open floor plan with upgraded cabinets in the kitchen, granite countertops and stainless steel appliances. Kitchen is open to a very large family room that is two story. Master suite, 1/2 bath and a flex room down stairs. Open stair railing carries the elegance upstairs to a large loft / game room and 2 secondary rooms the third bath AND a SECOND MASTER SUITE! 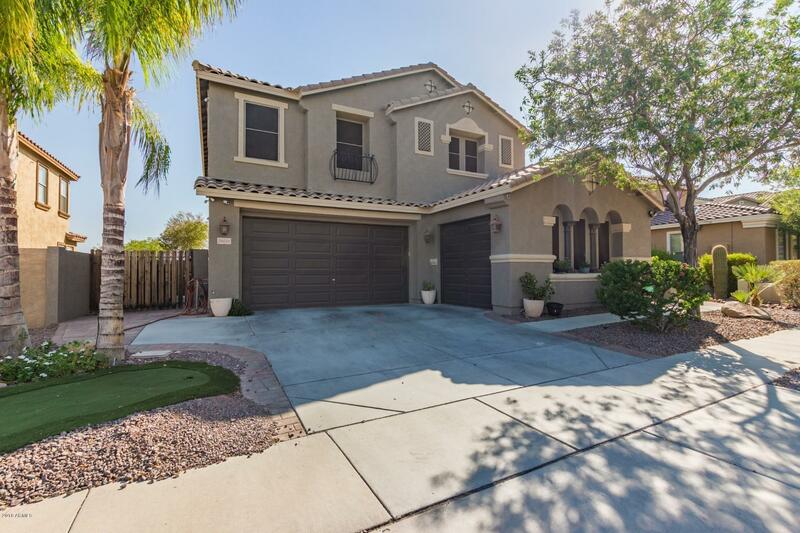 The openness of this home com"
"Truly unique, desert jewel box in the Desert Oasis community. SINGLE LEVEL, 4 bed/2 bath, mountain views, pool and custom outdoor living space. 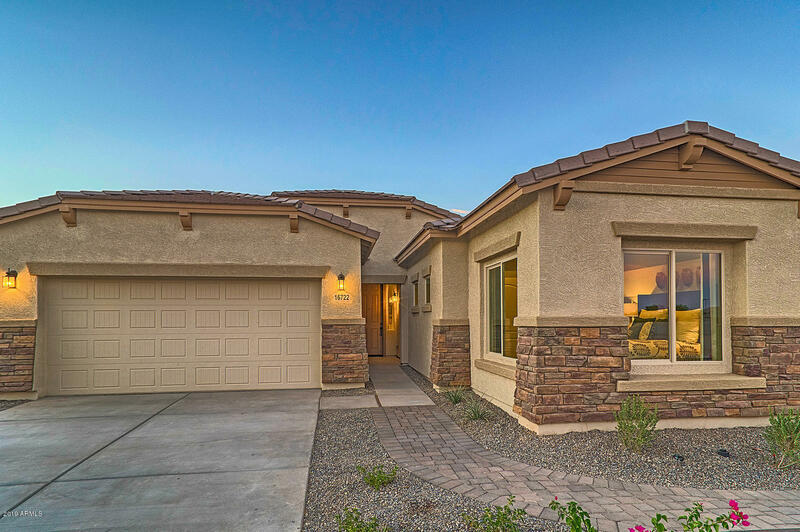 Exquisitely upgraded, turn-key, 2017 Homes by Towne build. Modern and functional floorpan with custom outdoor living space. 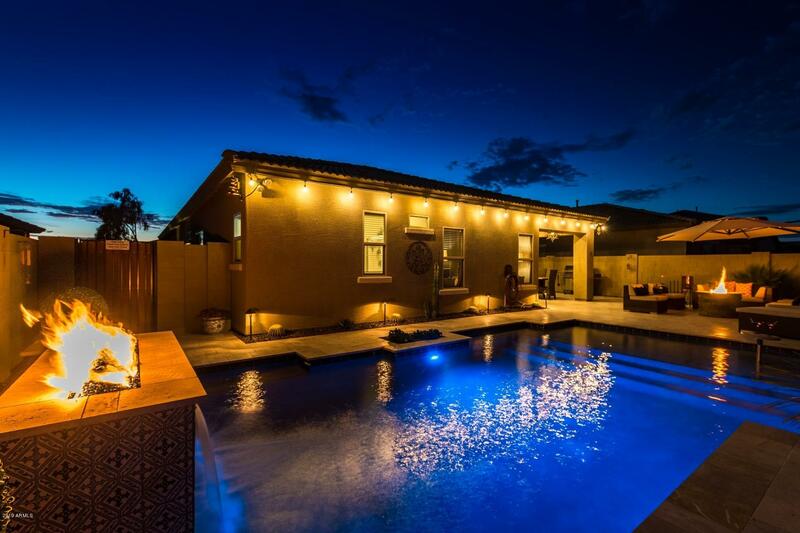 Step outside to experience the stunning pool, waterfall/fire feature, separate grill area and travertine pavers. Inside the home, you'll find freshly completed custom paint, beautiful countertops, builder & owner upgrades and elega"
"Beautiful Brand NEW Home under construction ready for you to move into in the Summer. 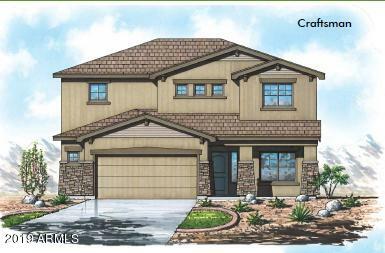 This beautiful 2 story has oversized Garage, 3 Bedrooms, 2.5 baths Plus a downstairs den and loft upstairs. Welcome your guest to the home with Beautiful iron spindles on the open staircase. 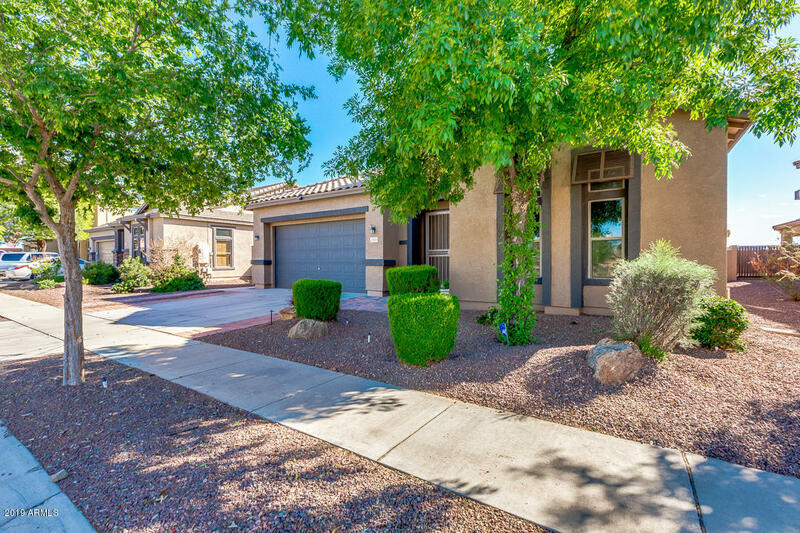 The bottom floor has upgraded Tile floors with upgraded cabinets and granite counters in the kitchen, stainless steel appliances and a great breakfast bar that opens up to the Family Room. Den would make a perfect hom"
"Be in a BRAND NEW HOME WITH A 3 CAR GARAGE SOON! This home is in the process of being built and perfect for a Summer move in. The photos are of our beautiful model that is the same plan. Home has a beautiful entryway, den and formal dining. Kitchen is open to the Great room and entertains to the rear of the home with a great covered patio. Master is split from Guest rooms. It has a separate tub and shower and a very large walk in closet.. Great Room and kitchen are all open. Beautiful Isl"
"Be in YOUR NEW HOME THIS SUMMER! What a beauty this one is going to be. 4 bedrooms, 2 baths. 4' garage extension 3' Master Bedroom Extension, on the 2 car garage and 9' ceilings throughout. Huge Master with Walking closet and large walk in shower. 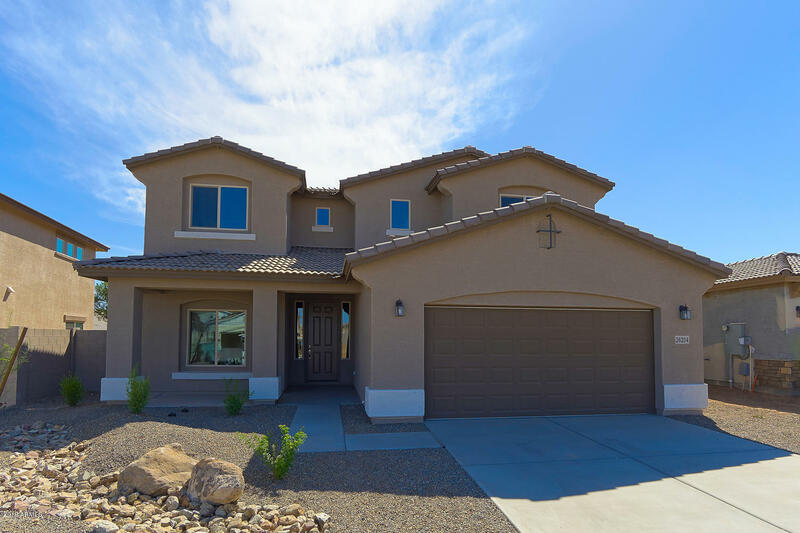 This home comes with it all beautiful tile floors, 2'' faux wood blinds, custom 2 tone paint, Granite Countertops, stainless steel appliances and a beautiful open floor plan. Your pocket book will love you too with our energy efficiency of the h"
"Vacant ready to move in! NEW Exterior Paint! Custom flooring to the country town backyard, you don't want to miss this house! Downstairs has an open floor plan with lots of flexible space. The well appointed kitchen, has beautiful counter tops, big island & walk in pantry. All black kitchen appliances included! Upstairs has all new carpeting! Nice large open loft along with the other 3 bedrooms. The Master is huge with an adorable window seat, walk in closet, and full bathroom. 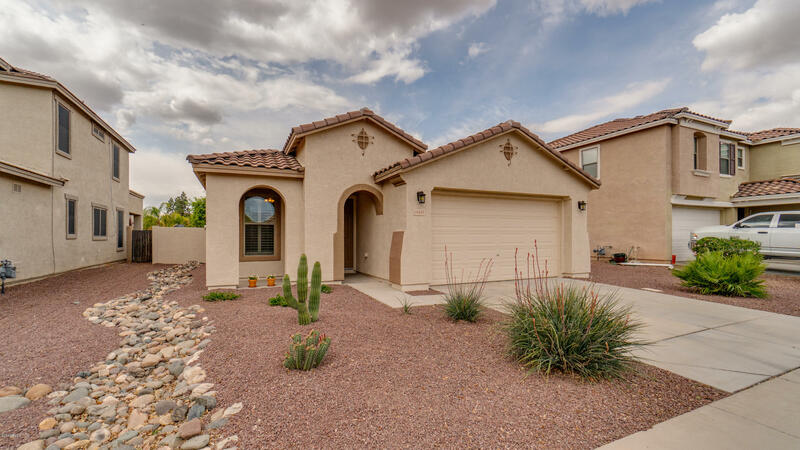 Master bath has d"
"Beautiful 3 bedroom with a den over 2,400 feet of living space is ready for you! Tastefully updated porcelain wood look tile recently added in most of the home. Carpet in the bedrooms and den. Large family room and kitchen area for gatherings. Eat in kitchen, pantry and breakfast bar. All kitchen appliances included. Both bathrooms have double sinks. Garage has extended cabinetry for lots of storage and epoxy flooring. Close to freeways and shopping." "Welcome to your new home! Charming 3 bed + 2 bath Surprise home with pool! Wonderful open floor plan with plantation shutters & blinds, neutral paint tones, tile flooring, and plush carpeting in all the right places. Eat in kitchen features honey oak cabinets, white appliances, ample counter space, and an Arcadia door to the backyard. Both spacious bedrooms have plush carpeting and ceiling fans. Master includes an adjoining bath and a walk-in closet. Enjoy the covered patio, abundant Arizona sun"